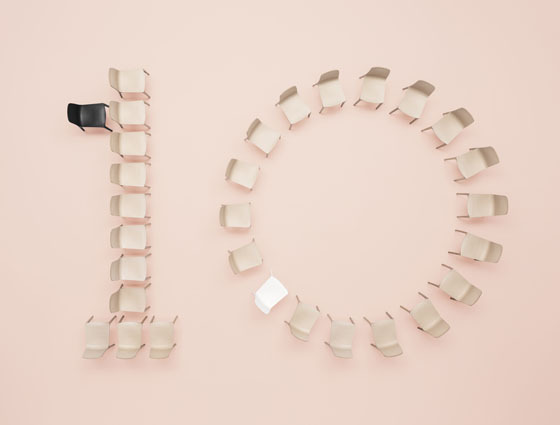 Anniversaries provide an opportunity to reflect on the past, celebrate the present, and look forward to the future. 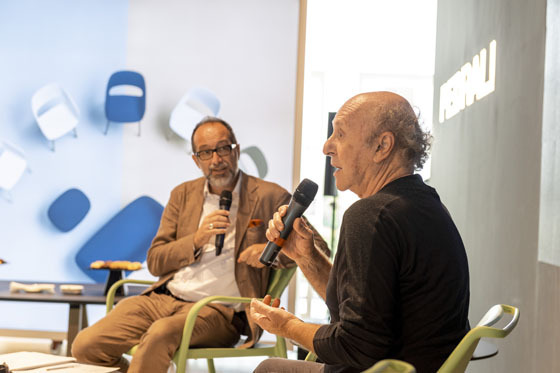 For Italian furniture manufacturer Pedrali, 2018 marks ten years since it began two of its most successful collaborations, with designers Odo Fioravanti and Jorge Pensi. 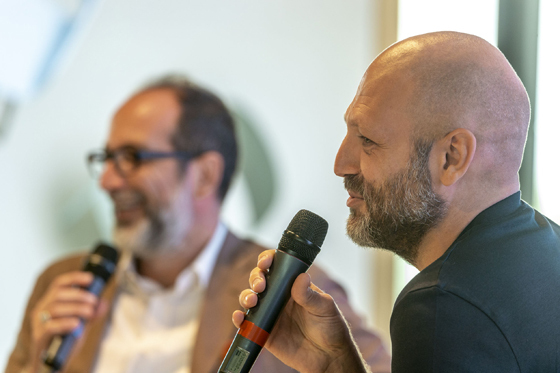 The important anniversary was marked by an event in September at the company’s headquarters in the province of Bergamo, where the designers talked about their ongoing relationship with the brand. 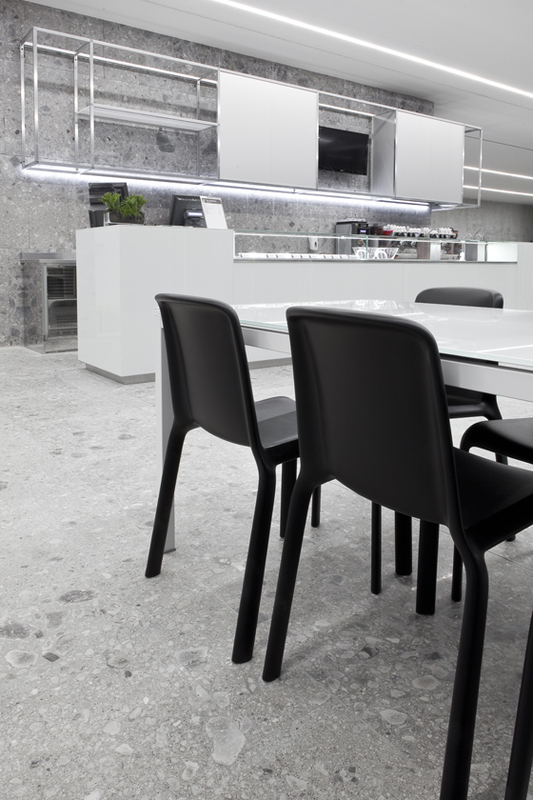 Pedrali was founded in 1963 and has since established itself as one of Italy’s leading producers of contemporary design furniture. 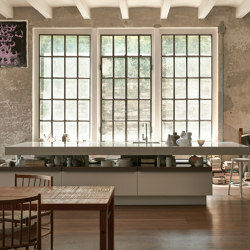 Over the years its reputation for developing timeless products with a high level of technical sophistication has helped it attract top talent from both Italy and abroad. 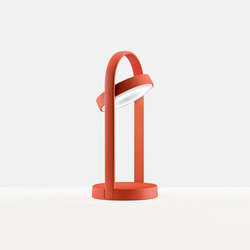 For Pensi and Fioravanti, the collaboration with Pedrali has resulted in some of their most popular and recognised designs, which have become international best sellers. 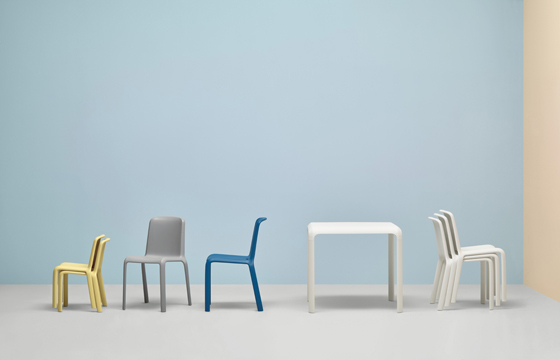 The Ypsilon collection, developed in 2008, epitomises Pensi’s ability to create products that achieve both aesthetic and physical longevity. 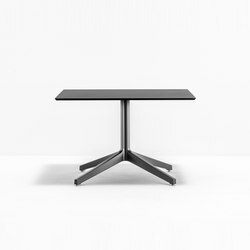 The table’s robust yet refined design makes the most of the forms that can be manufactured using cast aluminium. 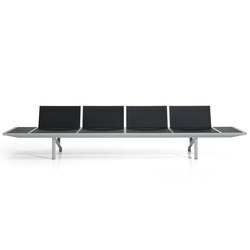 Combined with its pleasing shape, this intelligent application of a lightweight material has made it popular for both indoor and outdoor settings as it is easy to move around. Pensi’s ongoing collaboration with Pedrali has also produced the Ara collection of polypropylene seating, which features a handle integrated into its moulded form to make it easier to lift and reposition. 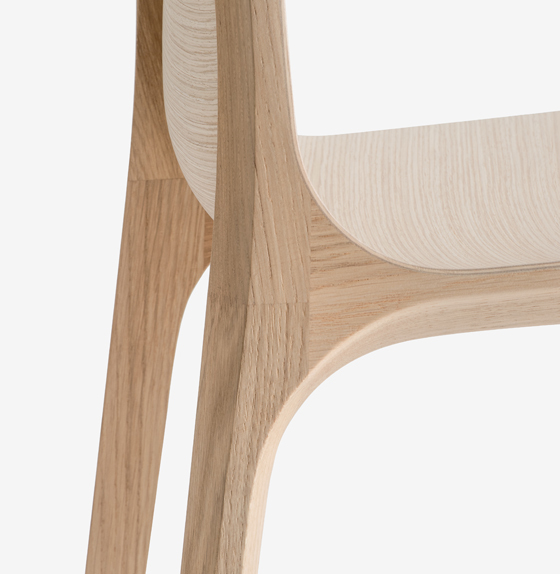 The tapering legs give it an elegant aesthetic that belies its sturdiness and suitability for all sorts of indoor or outdoor uses. 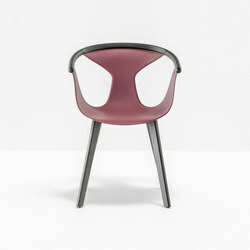 Fioravanti’s collaboration with Pedrali began in 2008 with the creation of two chairs: Snow and Frida. 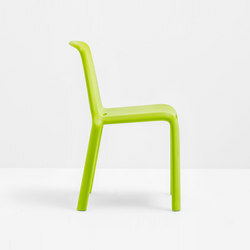 The clean-lined, stackable and weather resistant Snow chair has become a modern classic that is a popular choice for areas where the furniture will see heavy usage, such as the interiors of Milan’s Luigi Bocconi University. 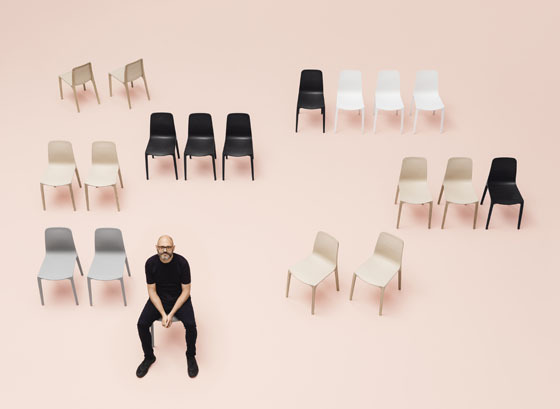 To mark the ten-year anniversary, Fioravanti produced an installation comprising four playful reinterpretations of the Snow chair, each named after a different hit record. 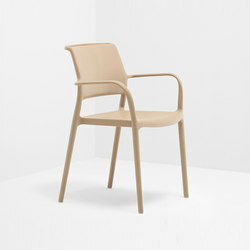 One of Fioravanti’s other best-selling designs for Pedrali is Frida, which also launched in 2008 and picked up the prestigious Compasso d’Oro award in 2011. 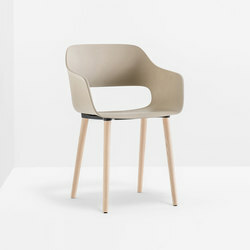 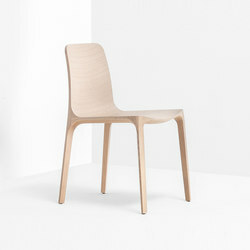 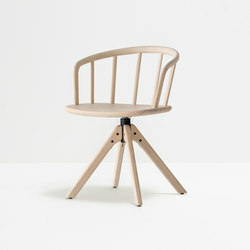 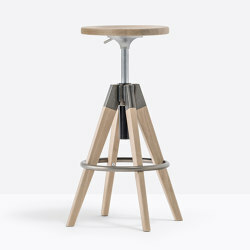 The chair represents a feat of technical innovation in wood, with a carved oak frame supporting a delicate plywood shell. 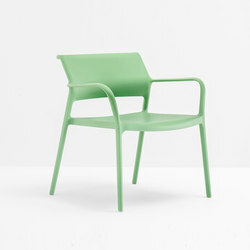 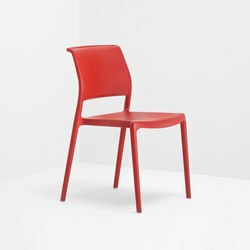 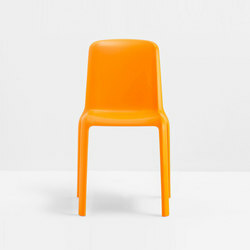 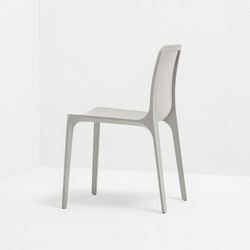 The result is a lightweight yet incredibly strong chair with a seamless, sculptural appearance. 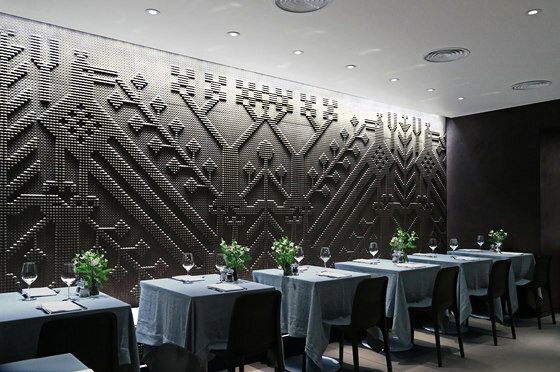 A decade on from their launch, the products designed by Fioravanti and Pensi have proven enduringly popular and have been specified for many important projects. 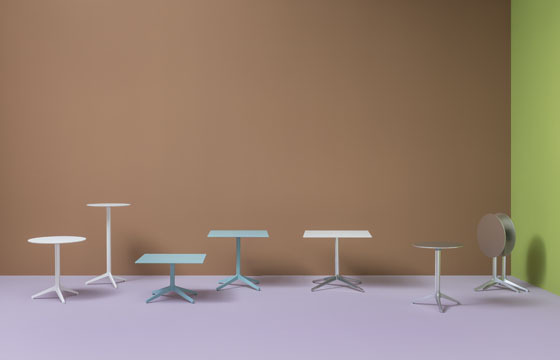 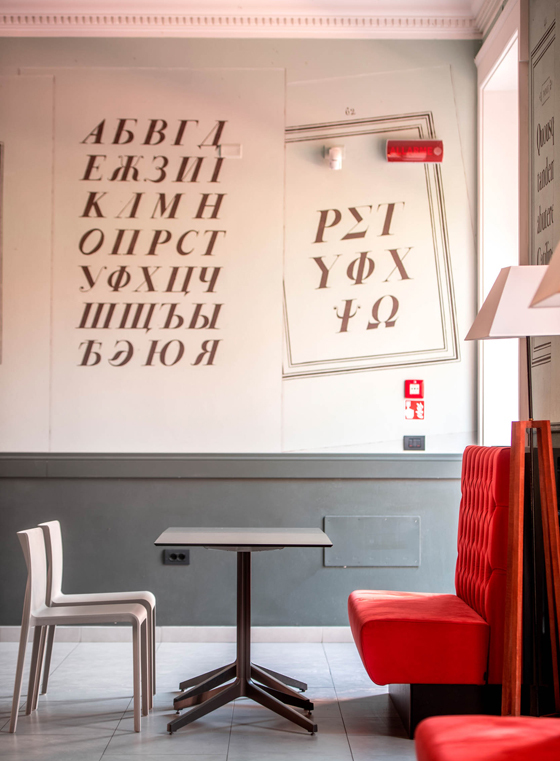 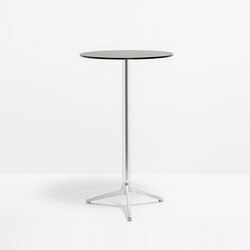 Frida was used by architect Pierluigi Piu for the interiors of London’s Olivo restaurant, while the versatile Ypsilon tables feature in a variety of venues, from the café of the Labirinto della Masone in Fontanellato, to the Google Campus in Dublin and the Moleskine Café in Milan’s Brera design district. 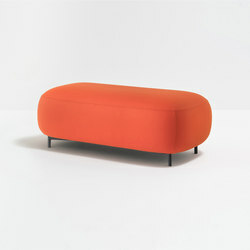 Only the best designs possess the credentials to stand the test of time as well as these ones have and, just like the furniture, the collaboration between Pedrali and their designers is still going strong.